"You see, in my reality...you died..." Their conversation had inevitably led them here. Past the expected questions such as - why hadnt you sought me out sooner - but Quintus had subtly dodged the conversational laser beams. Controlled the conversation with covert undertones. Listened with neutral reactions and respond inversely to the reinvented quick drawing archer's inquisitive contributions. "You had a daughter." And while the displaced Knightfall's voice was somber, his eyes were unexpectedly full of life as spoke about his brother's solitary off-spring in Reality-M.
"She was young when you passed. Dropped out of Columbia and hardly left...hardly left your side. We took her in...I, took her in, after. Gave her the freedom to make her own decision in regards to the life. In regards to the mask. Turns out it never mattered. She never had a choice. "eluding to the universal betrayal of the mind controlled Champion and Goddess. "She took up your mantle, we both did. A mantle which..." Quintus slightly grinned and held it for a minute. As if nursing a secret that only he knew, if even for a moment. "which in my reality, was the, bat. "momentarily stroking his heavily fortified whiskers on his chin for a moment before sportingly tapping Cassius in the chest with the back of his hand with brotherly intent. "Goddammit Cass, you were a tank, a juggernaut man you use to ragdoll the enemy. Every-time. Every-time. "water just barely began to well-up under the ridge of Quintus' now diverted eye. "Until the one time you didnt." But again the former Arashikage master refused to lower his had in sadness. "When Ziccarra, the Goddess...when she came we, the city of Gothic...we used your memory as a symbol. As a rallying cry. We showed out. Gothic, its people...it would have made you, the other you..it would have made him proud. We went down swinging. Thats all I'm trying to say." It continued like this for awhile. The talking, the rediscovery of a brother lost. But sooner or later Quintus knew he had to broach the real subject. "I believe I can bring my Reality back. Never stopped researching, never stopped looking for a way to set it all right again. Cass...I think I finally found it but I need....I need your help to track them all down." I need your help to track them all down. Every word was like a jackhammer to Cassius's heart. His own brother had gone bad, rogue left his own children, family in his tyranical pursuit of the mutant future. This version of him broke his heart. Not because of his frailty but because of his strenght. This man had fought against the apocalypse of his world and still sought to bring it back. Not wallow in self pity or accept his fate saying "at least i tried". This was something that stirred the primal in Cass the true Knightfall spirit of "fight them all". Then Quintus said the words that he wanted to hear in his heart but knew would lead him from his attempts of walking the heroic path. His doubts where short lived however. This wasnt a matter of moral or even his self obsessed quest for redemption this was a matter of family and doing the right thing . This may not be his Quintus but this was the only brother that wasnt lost to him and he couldnt let him down not now, not ever. "You just tell me their names. Your gonna get home. And when you do, tell my daughter that her old man is routing for her in this world as well as your own"
"I believe I can bring my Reality back. Never stopped researching, never stopped looking for a way to set it all right again. Cass...I think I finally found it but I need....I need your help to track them all down." @quintus_knightfall: Right back at you. Gonna have to bring some old Cass up in here. Yeah , gonna have to kill two of us for that to happen. 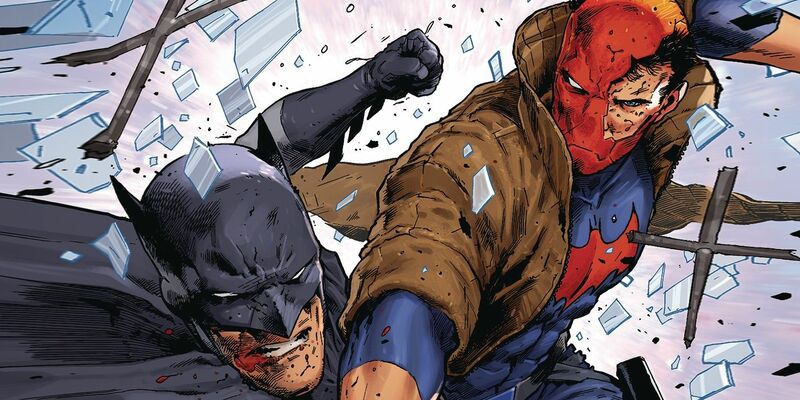 @hawkshade: Wrong Knightfall your slapping there. This is embarrassing. @hawkshade: all the better, as you won't know who slapped the taste outta your mouth.